South Africa celebrates Heritage Day on 24 September – a time in which we honour the cultural wealth of our nation. Typically, we mark the day by remembering the heritage of the many cultures that make up the population of South Africa – the most obvious manifestation of which is our beautiful array of cuisine. 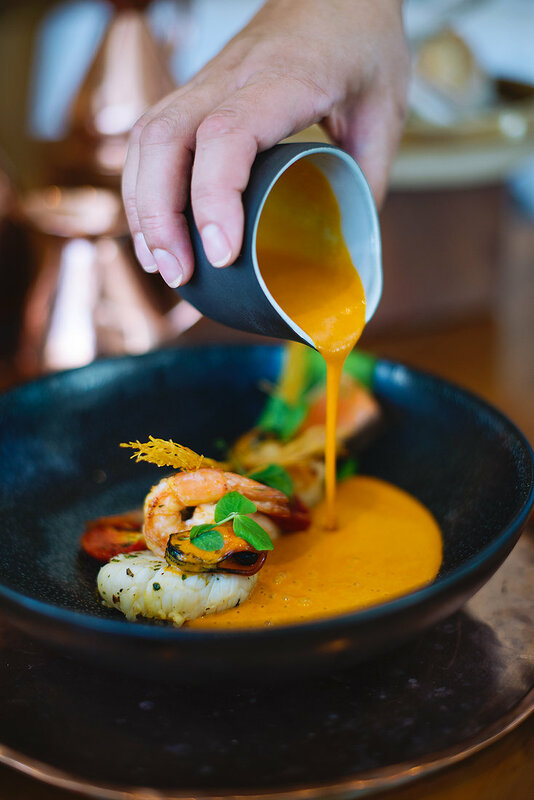 Signal Restaurant provides the perfect opportunity to sensorily explore the Cape through both wine and some delectable new menu items – all of which are designed to give diners a distinct sense of place. Signal Restaurant is a grand dame. Chandeliers, white linen tablecloths, heavy upholstered chairs. But, much like the Noon Gun atop the historic Signal Hill (the view from whence it derives its name), it never ceases to surprise. And while the 12 o’clock firing of the Noon Gun canon might cause you to jump with fright, dining at Signal is more inclined to make one sigh with delight. Indeed, look at little closer and note that the chandeliers are adorned with quirky silver teapots, while a peek around the wooden pillars might reveal a beautiful mural painting of our Table Mountain’s earliest years as a port. It’s a warm visual feast that communicates our maritime past and hints at the dishes to follow. While Chef Malika van Reenen draws on the Cape’s rich heritage of spices, flavours, crossed seas and many cultures, this is no typical ‘braai’ (barbeque). 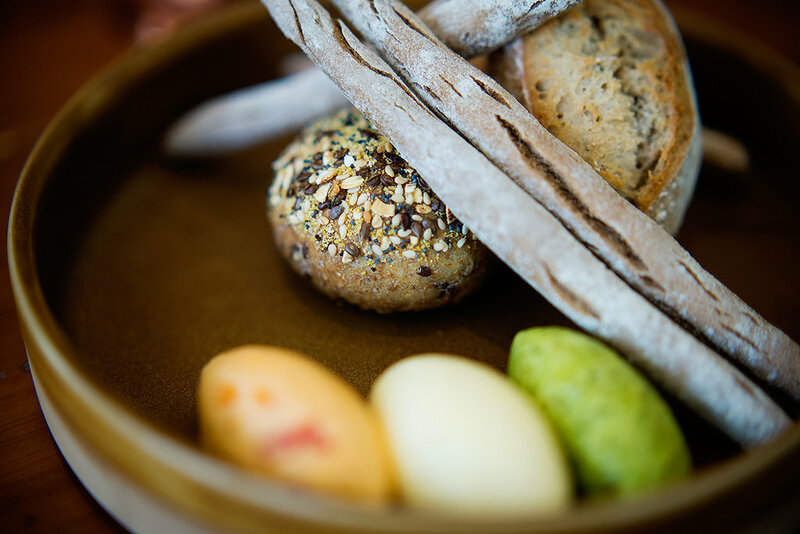 Indeed, it is gastronomy at it’s very best, with some European favourites given a distinct Cape Malay twist. Begin with the breaking of bread, a selection of warm sourdough begging to be slathered with herbed butter. This is followed by an amuse-bouche that’s just one of the many little delights chef gifts diners with along their journey. Then onwards. Steamed mussels from our rocky coastlines mingle with prawns and salmon in a saffron aioli-topped broth that makes for a delectable starter, the butter-curry risotto another fragrant and toothsome option for those seeking something a little heartier. When selecting mains, meat-lovers should choose the newly-added Bobotie-Spiced Ostrich – a glorious sweet/savoury treatment given to the South African game bird that elevates the taste to new, dancing heights. There is also the Springbok Loin, served with braised shank ravioli, smoked beets and red cabbage that truly melts in your mouth. For those erring on the lighter side, opt for the Pan-fried Catch of the Day, served with potato salad (another South African favourite), and a coconut, ginger and tamarind dressing; or the Prawns, curried and tossed with cumin pilau and served with the cucumber raita, they pay homage to our Indian influences while simultaneously being succulent and delicious in every way. 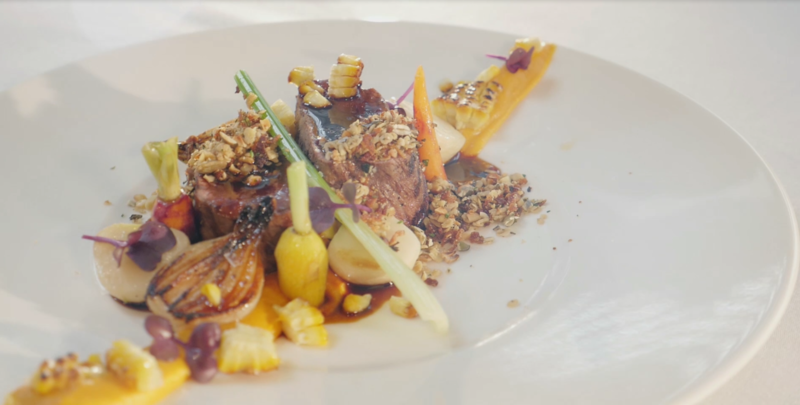 Of course, if you’re feeling like something more familiar, there is the trusty Beef Fillet, served in this case with grilled short rib and polenta, as well as the veggie-friendly Roast Butternut and Potato Gnocchi, with a sumptuous porcini cream and parmesan crumble. Then, on to the sweet stuff. While portions are rich, they’re sized to allow one to peruse the dessert menu with eager anticipation – so you can comfortably get to grips with the full smorgasbord of South African flavor profiles. 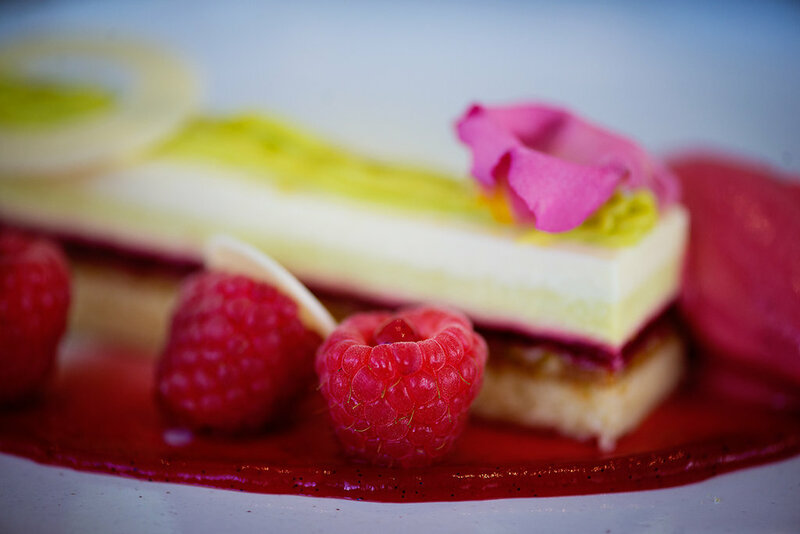 There’s ice creams and sorbets made with local fruits, a Pineapple and Coconut Mousse, and the Milk Chocolate Parfait, served with cremeux, dehydrated chocolate, raspberry and pink peppercorn sorbet. They’re also serving a beautifully indulgent Cape Grace “Eton Mess” with strawberry custard, an olive oil sponge, vanilla meringue, strawberry and rhubarb sorbet. If you’ve got the space, don’t neglect the local cheeseboard, the artisanal fromages served with proudly Capetonian preserves and honeyed nuts. 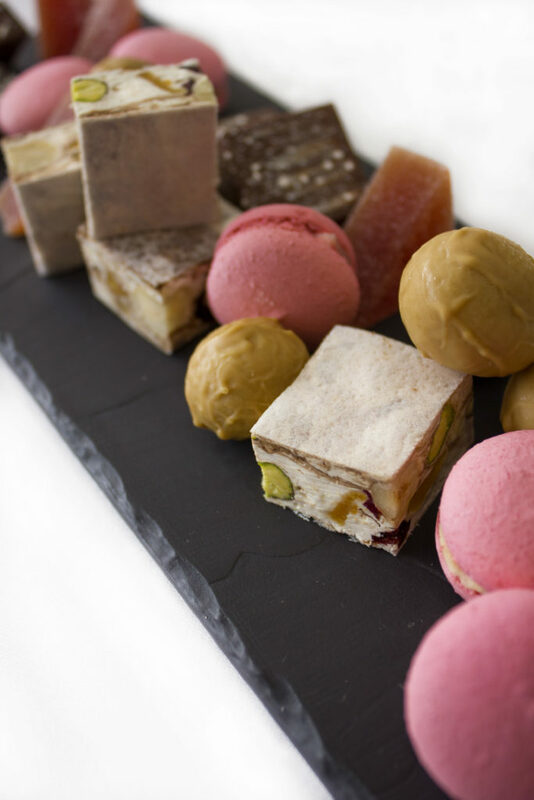 Each meal ends with a little ‘thank you’ from the patisserie chefs, the glass dome lifted to reveal fudge, macaroons, or even tiny morsels of red velvet cake. Of course, a huge part of our Cape heritage is our extraordinary wine. Dating back to the 1600s, our wine farms, scattered across the Western Cape, produce some of the New World’s most exciting (and award-winning) varietals. If you truly want to stick with the South African theme, try one of our proudly South African Pinotages. The one from Eikendal is particularly moreish. However, Marlvin Gwese, Cape Grace’s Head Sommelier is always on hand to guide diners, and offer advice as to what might best pair with chosen dishes. 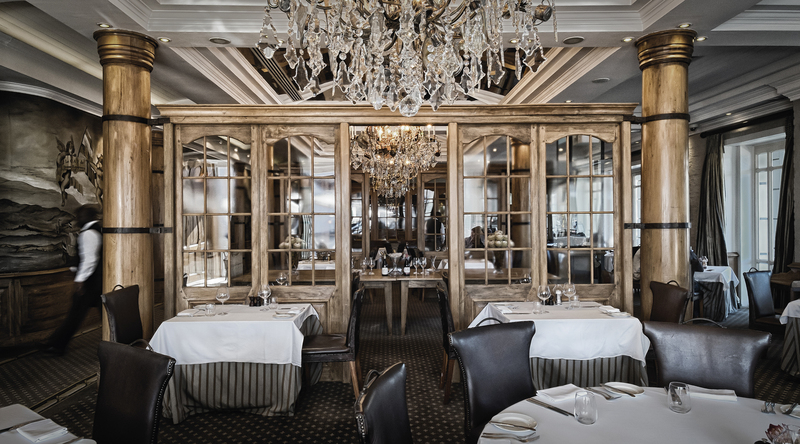 Cape Grace’s wine list is extensive, with some beautiful rare finds and trusted favourites alike. Poured from a cavernous carafe, experiencing wine at Signal is a delightful experience that just adds an extra special touch to an evening that will hopefully touch your heart and palate in equal measures. Book your dinner at Signal.